Cleanliness is a key part of maintaining your vinyl records. When you have dirt or dust on the records, it interferes with the sound quality and may cause your records to skip. By taking measures to keep your records clean, you avoid complications with your collection. Use a lint free cloth and wipe down the records to remove any dust or dirt from the top of the record. Generally, you should always wipe any dust and dirt away from your vinyl records from the moment you bring them home. Since packaging can result in some dust getting onto the records, dusting it immediately may prevent damage to the record. You also want to dust the records before and after you use them. If you notice persistent dust or dirt in the grooves of the records, then rinse your records with cool water. Ideally, you want to use distilled water to avoid impurities from your tap getting into the grooves of the record. Try to avoid the label when cleaning with water. Dry the record completely before you play it. You can also use a record cleaning brush made from carbon fibers as part of your routine cleaning and maintenance routine. The brush helps remove dirt and impurities from the grooves of the record when you move it in a concentric motion, or along the same axis as the record. Although regular dusting plays a key role in the maintenance of your records, you may need a deep cleaning solution in certain situations. For a deeper clean, use a cleaner designed for vinyl records. The cleaner is usually enzyme or water based, but any specialized cleaning product for vinyl records will help with the process. Put the cleaner on a soft cloth and gently clean in concentric circular motions. The cleaner will remove dust and dirt from your record. Be cautious when cleaning to avoid getting the label on your record wet. You want to focus on the vinyl and ensure that the record is completely dry before playing the record. Record cleaning machines are not the ideal approach to cleaning due to the cost; however, you can use a machine for a deep clean. The machine removes the excess dust, dirt and residue on your records for optimal sound quality. While it may seem unnecessary, you can use the machine on new and old records to improve the quality of the sound. Do not clean your vinyl records with any home solutions or remedies. Since many cleaning agents may harm the vinyl on your records, particularly an alcohol based cleaning agent, you want to avoid using any solution that was not made for vinyl records. 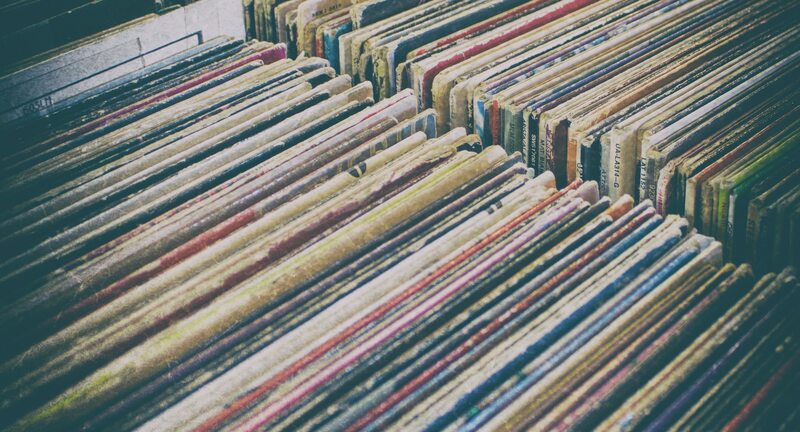 Vinyl records require proper storage to avoid complications with your sound. Place your records in a clean and cool space. Keep them out of sunlight to avoid warping or any damage from the sun. The records should be kept in a vertical position. Give each record enough space to fit comfortably without pressing against other records. The space prevents damage to the records. Keep your records in a sleeve, but avoid paper sleeves to prevent shedding and dust build up. Wax or plastic sleeves are ideal to prevent shedding, but you also want an outer sleeve for protection against dust and dirt. When handling your records, hold them by the edges. Your fingers may pass dust and oil to your records, so you should not touch the vinyl directly and should always handle the records with care to prevent gradual damage from dirt and oil. Keeping your records clean is a process, but regular dusting and maintenance prevents complicated cleaning processes. Always dust your records before and after you play them to remove dust. You can also clean the records on a regular basis for dirt that gets into the grooves or from accidental mishandling. By taking measures to care for your records, they last longer and you have a better sound quality when playing music on your record player.